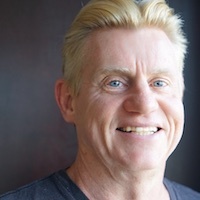 NAB 2019 was almost like returning to the past as were were podcasting from the show floor, just like 2004 – 2007! Back then it was DV Guys/Digital Production BuZZ and we had a huge case of gear for an audio only show. Fast forward a decade and a half, and we’re live streaming with Switcher Studio, adding multicam video switching to the live stream! Of course, we all know that no-one watches live streams, but we had some quality interviews recorded for OWC Radio hosted by Cirina Catania interviewing creatives about tech. This year’s production gear would fit in a bag about a quarter the size of our audio only rig of earlier days! Not to make it easy we added lighting. Greg mans the control table for audio (the mixer), video (the iPad) and screen support material (the MacBook Pro). In return for assistance with the podcast OWC gave us a home on the corner of the booth for NAB. Let’s just say that OWC Radio got a lot of attention while the corner table was mostly empty. 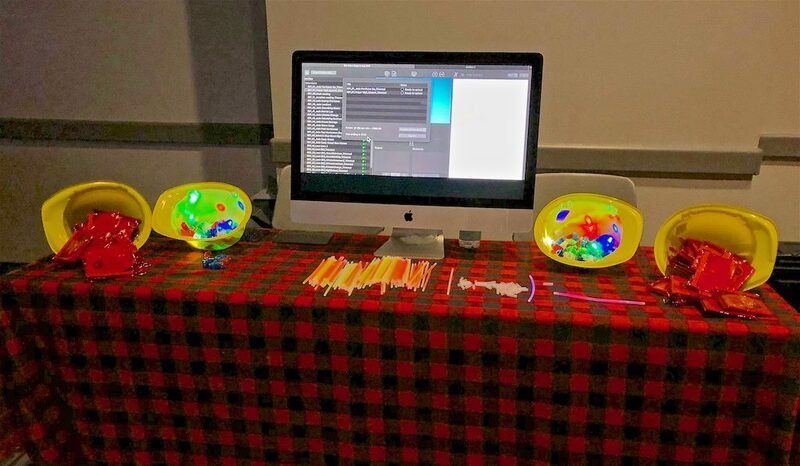 Lumberjack System was one of the sponsors of the Content Creators Celebration where we mostly handed out finger lights and glow sticks, while talking to people about how Lumberjack gives them more time to be creative. The highlight of the week was, without a doubt, the Faster Together Stage where LumaForge did all the heavy lifting organizing a truly inspirational evening. The Faster Together stage replaced the Supermeet on the Tuesday night. Dan Berube and Michael Horton – the people behind the Supermeets – called an end to a successful 18 years in January of this year. Now, I’ve heard some criticism that the Faster Together stage was “very corporate” because one company was hosting, but in reality, the event was way less corporate than the Supermeets, where the stage presentations were mostly sponsored. Occasionally Avid, or Adobe would put up a creative on stage, but mostly it was “dog and pony” shows of the latest, just announced, features of their flagship apps. Not that there’s anything wrong with that. When I first talked with Sam Mestman about the Faster Together Stage he indicated he wanted to move the event back toward creativity and community – away from the corporate approach! He, and a very dedicated team from LumaForge, delivered on that with a stage full of editors, producers, colorists, YouTube stars and technologists. Not a corporate or product presentation in site. 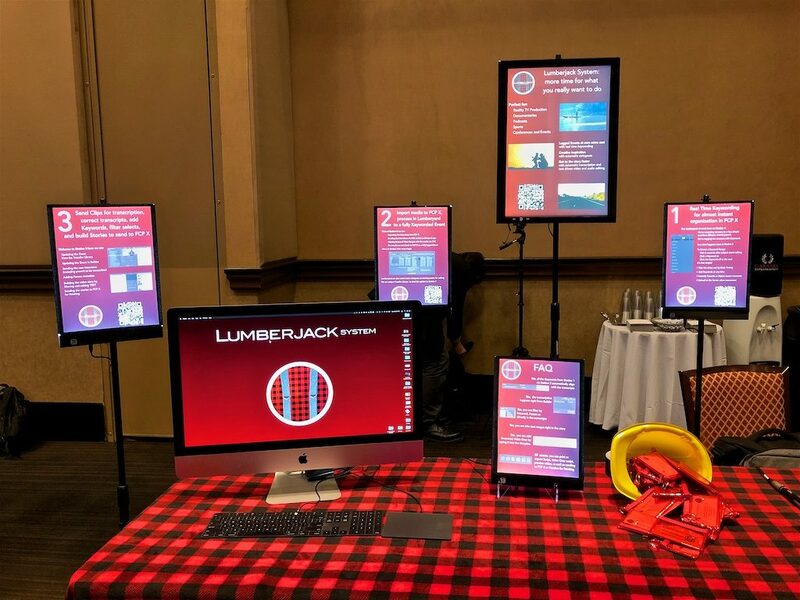 Our Faster Together table highlighting all the ways that Lumberjack System gives you more time for what you are really passionate about. We had planned to demonstrate the entire Lumberjack Workflow at our table, but I didn’t expect our reliable NEX 7 to simply stop recording! As a team, Lumberjack was able to contribute to the on stage presentations by doing what we started doing; logging during the shoot. Chris Fenwick, Alan Seawright and Brad Olsen (and probably others) had planned to interview guests at the event before it started, asking them six questions like what inspired them to get into production, and edit those into six on stage presentations during the event. Could NOT have pulled it off without @philiphodgetts and Greg from @LumberjackSys – their logging system made the quick turn possible. I’m SO thankful they were able to assist. 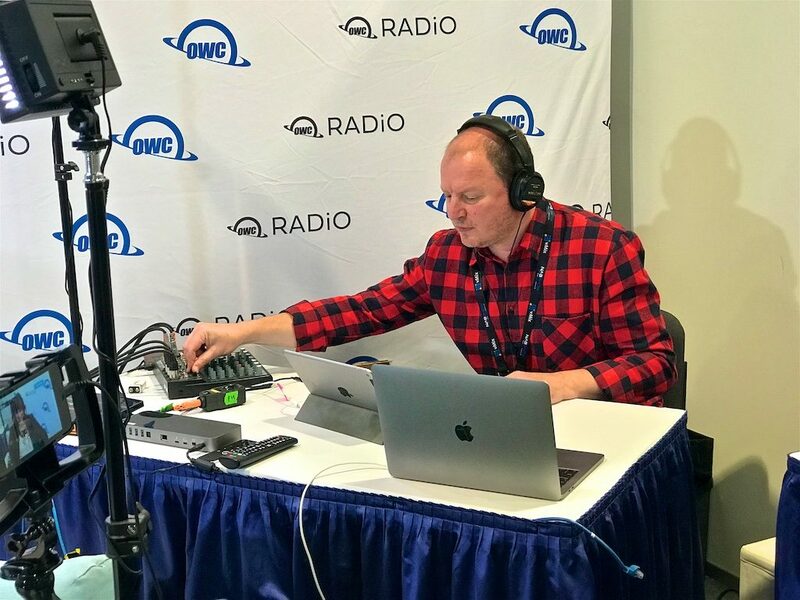 After more interviews for OWC Radio on the Wednesday, we packed up the production gear on the booth, had a relaxed evening when we finished, and returned home on the final day of the show. << What Drives NLE Choice?